Greenwich Dentist, Christine L. Tierney, D.M.D. graduated from the University of Connecticut School of Dental Medicine, and completed her General Practice Residency at St. Francis Hospital and Medical Center in Hartford, CT, before fulfilling her dream of opening a private practice in Greenwich, CT.
Dr. Tierney continued post-graduate training graduating from the Rosenthal Institute for Aesthetic Advantage at New York University in New York, NY, completed continuing education from the Center for Esthetic Excellence in Chicago, IL, and the Spear Education Institute in Phoenix, AZ. Dr. Tierney is passionate about bringing the latest and most advanced techniques in dental medicine to her patients. She is committed to continuing her education, building on her extensive training in aesthetic and restorative dentistry, recently mastery the most up-to- date technology in laser dentistry. Dr. Tierney is also dedicated to providing opportunities for the next generation of dental professionals and established the Christine L. Tierney, D.M.D. Fellowship in Dentistry, an endowed fellowship at the University of Connecticut which provides mentorship and assistance to dental students. For more information on this, click here. Dr. Tierney's passion for the dental profession has led her to serve on the Advisory Board of the University of New Haven School of Dental Hygiene, where she established a Dental Hygiene Program. Dr. Tierney is a consultant to the Continuing Education Council for the Connecticut State Dental Association (CSDA), as well as a long-standing leader of the Committee. She has served as the President of the Greenwich Dental Society. Dr. Tierney also created Women of Wisdom, a mentorship program for women dentists in Connecticut and New York that was recognized and funded by the Connecticut State Dental Association. 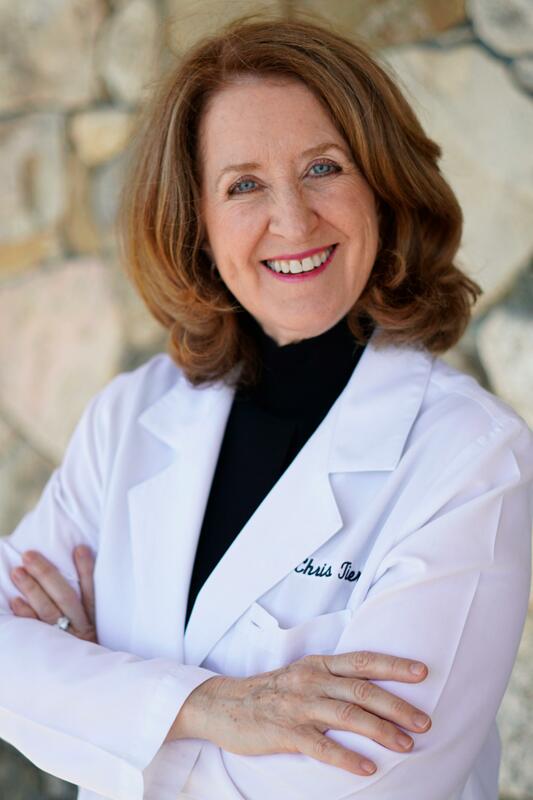 In 2015, Dr. Tierney was selected as one of, "America's Best Dentists," a prestigious honor which places her among America's most respected professionals in her field. In 2011, 2012, 2013 and 2014, Dr. Tierney was voted by her peers as both a "Top Dentist" and one of "THE BEST DENTISTS in Fairfield County" included in Greenwich Magazine. Connecticut Magazine named Dr. Tierney a "Top Dentist" in 2012 and 2013. Dr. Tierney has also been named one of "America's Top Dentists for Cosmetic Dentistry" by the Consumers' Research Council of America. Dr. Tierney was inducted into the Pierre Fauchard Academy, an International Honorary Dental Organization recognizing outstanding dentists with exemplary achievements. Dr. Tierney is a longtime volunteer for the Mission of Mercy, which provides comprehensive dentistry to the underprivileged in Connecticut. Dr. Tierney is an active participant in the Give Back a Smile Program, where she volunteers to help restore the smiles of victims of domestic violence. Outside of dentistry, Dr. Tierney sings soprano with the West Fair Singers, is a beekeeper, a gardener, and a boater. She is an avid reader and loves to travel. Dr. Tierney volunteers in her community and at Church. She has two children who live in New York City and currently resides in Rowayton, CT.